The race will be on the usual 5km route, starting on Rowheath Playing Fields. Time: 10am, 19th April 2019. 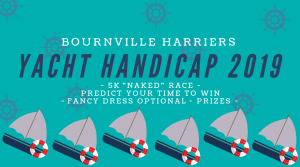 To enter the race please complete the form here (one per team): Yacht Handicap Entry 2019.